No day is ever complete without taking some time out of our lives to show gratitude and be thankful to all those who make our lives easy and wonderful. In fact, it’s the time of the year to give it back, as celebrations are in the air and everyone is expecting to be appreciated for their efforts. We have an entire day dedicated to being grateful for everything that we have; yes we are talking about Thanksgiving. As a wise man once said, “a grateful mind is a great mind which eventually attracts great things,”. 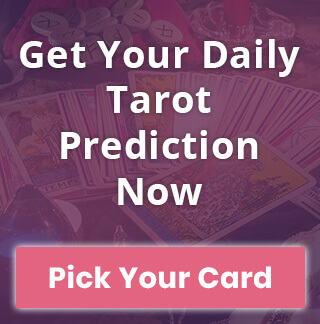 We too at Horoscopelogy believe that being thankful for at least one day of the year should be as much a valuable Thanksgiving custom as eating together or watching the parade. Well, look no further as we bring you the most thoughtful ways to be grateful at this year’s Thanksgiving. What better way to be thankful to the society for what it has given us than by returning a favor to its underprivileged class. Helping the Homeless! You can simply do one thing, go through your wardrobe, closets, dressers, and every possible place where you can find a useful piece of clothing, winter wear, and toys. Why not go an extra mile and ask your friends, neighbors, colleagues, and relatives for help as well. By donating these simple things, you’ll be able to bring a priceless smile on the faces of little kids and elderly. 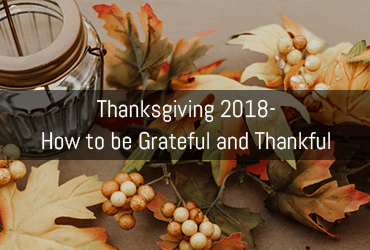 We know this is probably the most cliched option that you would have come across while searching for ways to be thankful, but for those who already have a packed schedule on Thanksgiving, volunteering at the nearest soup kitchen would be the best option. And besides, this is the most practical way of them all because one, you’ll be feeding people by your own hands, and two, you’ll be able to touch hundreds of lives all at once. Also, Read this: Which Thanksgiving Dish is Your Zodiac? No festival is ever fun if you spent it alone. You got to have people over to share the merriment with and make it all the more memorable. While not everyone is either well off nor does everyone has the time to go visit their families as there are work commitments and the fact that they are separated by geographical distance. Plus, there are ones who sadly don’t have anyone to celebrate this wonderful day with like orphans and widows. So instead of running around and wasting the day in trying to get yourself enrolled in a volunteering list, you could just simply invite the less fortunate from the neighborhood or from work to dinner and enjoy the day with them. By extending this noble gesture, you’ll be brightening their holidays and make them happy. Those hospitalized in nursing homes and medical facilities often spend their holidays in a situation either fighting illness or recovering from a certain medical condition. So by doing the noblest deed and paying a visit to them would bring a huge smile onto their faces. Showing a caring concern, and spending the entire day with them is a great way to celebrate your Thanksgiving. You would be extending the warmth and goodwill to those in distress. Probably, the best way to celebrate Thanksgiving. We are so hooked up on being thankful to people around us that we often overlook the importance of Nature in our lives and the fact that we should be grateful to the universe for being so generous by providing us food, shelter, and everything necessary that we never intend to appreciate. Also, Read This: Thanksgiving Gift Ideas for Your Loved Ones! So a simple task of conducting a cleanliness drive in the neighborhood would be as much a noble way to be thankful as any other. Plus, there are marathons, charity runs, taking place everywhere on Thanksgiving, so you can be a part of it and express your way to be grateful to others. It’ll have two benefits, first, if you’re a turkey trot, then this run would be the best way to burn the Thanksgiving fat, and second, you’ll be able to raise enough money than you would have ever made by doing anything else. 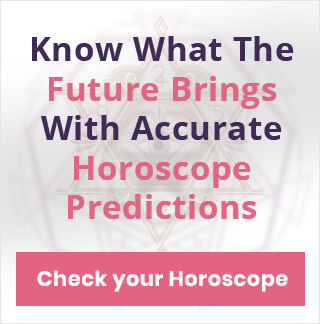 2019 Yearly Horoscope, Predicting New Beginnings! Don't miss yours! Thanksgiving isn’t always about being grateful, it’s the time of the year when you can appreciate the efforts of people that often go unnoticed because you never really ‘get the time.’ So this year you can choose from either of the aforementioned ways and can make your Thanksgiving even more memorable.